WHERE HAVE PRINT COACHES BEEN ALL YOUR LIFE? When you see an eye-catching billboard and that image plays in your mind for the rest of the afternoon, or you feel the sophisticated matte finish of a business card between your fingers, or when you are compelled to flip through the pages of a luxury car catalog—I guarantee these products didn’t happen by accident. 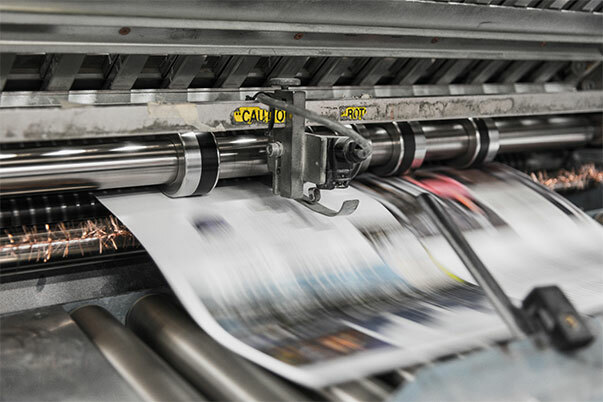 The level of care needed for a premium print product might be why so many businesses have opted solely for digital marketing. But studies are now showing that digital impressions are fleeting, and impressions from printed sources tend to stick in the brain for longer. Done right, print gives you the opportunity to become a memorable part of someone’s day. Impressions, brand enhancement, more eyeballs on your upcoming event… Perhaps you know the effect you want your promotional material to have, but maybe you could use a little help actualizing your idea? Print coaching gives you the feedback you need to create, improve, and produce the print products of your dreams. Fotorecord’s Print Coach service is a reliable, solid method to help customers deliver note-worthy creations that they’ll be proud to have their name on. And there’s no fee for a complimentary print coaching review. A Fotorecord Print Coach is your go-to person you can hit up when you have a question about what you are printing, how you are getting it printed, and whether or not there is a more efficient or effective way to do it. You can book a demo with a Print Coach to see if this experience is something you are interested in. What’s more, it comes at no charge and with no strings attached. I care about the print products that we produce, and so this is the service I came up with to make sure we’re only putting beautiful things out into the world.